World Trade Center | Badudets Everything Nice! Are you done with your Christmas shopping? 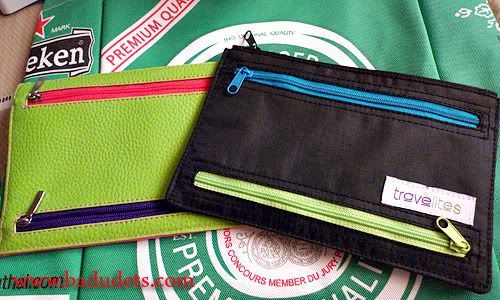 If not, now is the time to go the rounds of bazaars all over Metro Manila for some great finds. But I recommend going to the 8th World Bazaar Festival held at the World Trade Center from December 5-16, 2008. It is one of the grandest bazaar with over 600 concessionaires. We always frequent this bazaar every year and has became a tradition for the family. It’s like going to Greenhills Tiangge, 168 Mall, Rockwell bazaars at the same time. You just have to keep an eye for unique and affordable items. Entrance fee to the bazaar is Php 25, for Senior Citizens, it’s Php 20. So what’s in it for you at the 8th World Bazaar? Majority of the booths sells export overruns for kids and adults, price ranges from Php 200-Php 500 for kids apparel and from Php 300-Php 700 for adults shirts/blouses. 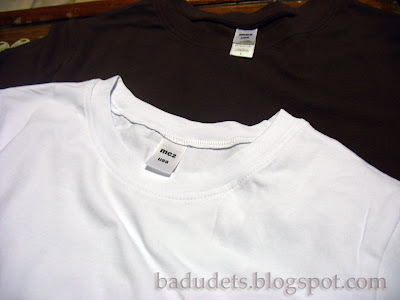 I’m a bit surprised with the prices of some vintage shirts sold there though, they are tagged at Php 450, quite steep for a bazaar-bought shirt so I let it go. I’d rather buy a little less than Php 500 shirt from a boutique in a mall. There are also stalls that sells children’s toys, accessories, handicrafts/woodcrafts, bags and shoes. You’ll not get hungry because there are a lot of food concessionaires at the back, but there weren’t enough sitting area for you to eat though. But you also have the option to eat outside as McDonald’s has set up of its own kiosk just outside the building. 2. 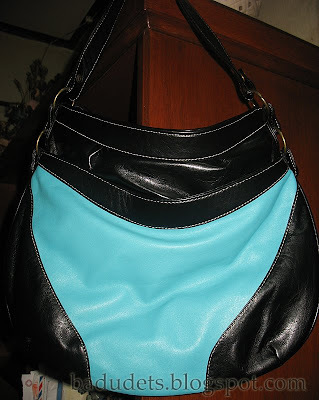 Black/Blue Hobo Bag from Sacco – I love buying bags proudly made by local manufacturers. 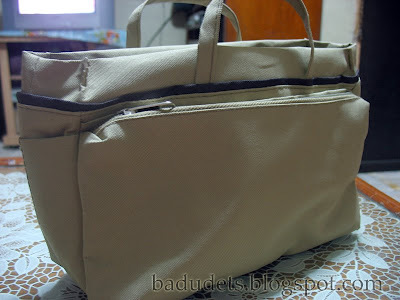 I own bags from Therapy Bags and Fab Manila and this one’s the latest addition to my collection. 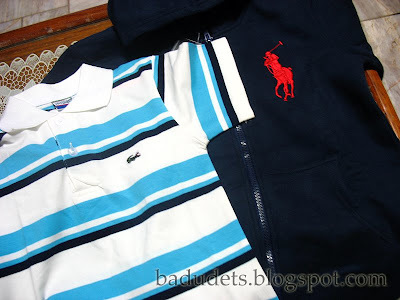 A steal for only Php 299. 4. Assorted kiddie underwear – They’re cute and colorful. 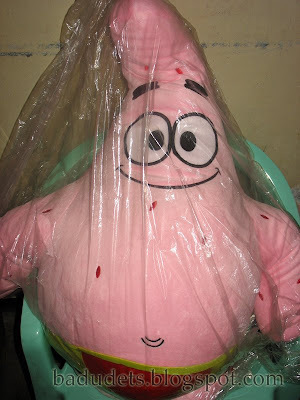 Sold at 3 pieces for Php 100. 6. 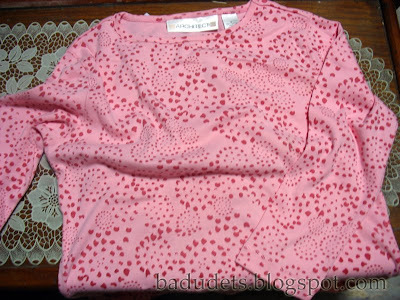 Pink Printed Long Sleeves for my mother – Nice fabric and color. A steal at Php 200. 8. AnyLock Sealing Device – Of course, what I love most about bazaars is that you can discover new items not yet available in other stores. 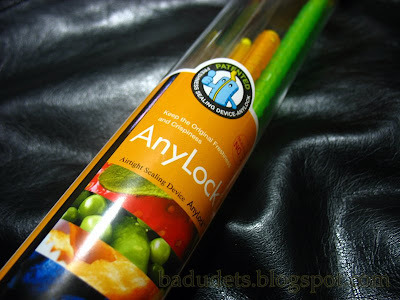 Like this AnyLocks, after seeing it one of the booths, I knew that I have to buy some. And because I love this product, I’m gonna write a separate entry for this. Php 350 for a 6-pc. AnyLock. Another thing that’s great about a bazaar is that you can haggle, haggle, haggle. But not too low that you’ll insult the seller, it also helps that you’ll buy 2 or more items from the same stall so that you can have a bigger discount. Aside from haggling, you’re gonna do a lot of walking so wear your most comfortable shoes. Parking can be quite challenging especially in the evening so better go there early. Aside from the available parking at the back of WTC, you can also park at the huge vacant lots just across WTC for Php 30. Enjoy your shopping! Gil Puyat Ave. Ext. corner Macapagal Blvd.